Planning cosent has been granted for the replacement of the existing bungalow, to provide a large modern dwelling. Work has started on the refurbishment of Ship House, the work sould take around 9 Months to complete. Today we were granted planning permission for the refurbishment of Ship House. 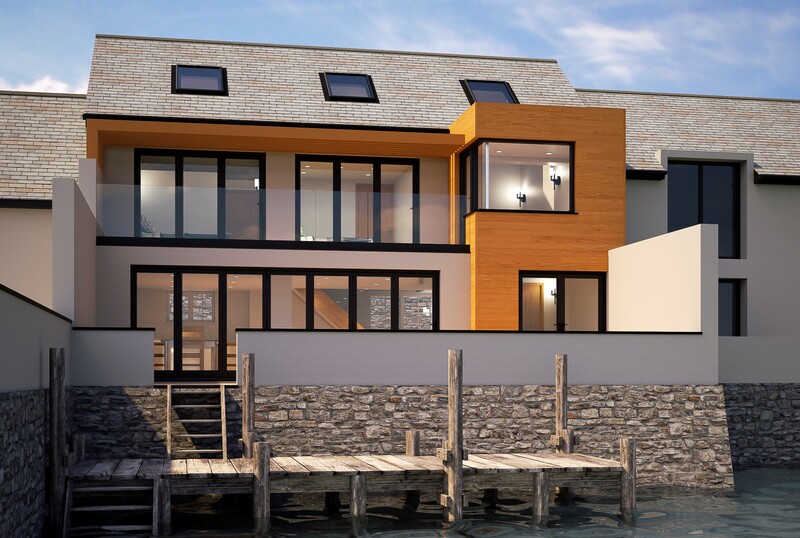 The plans are for a contemporay waterside house, which is sympathetic to the conservation area in which it is situated. 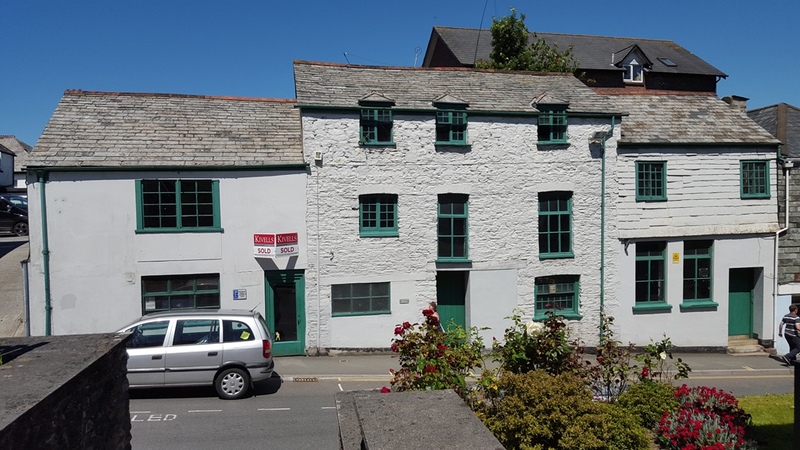 We have completed the purchase of this site in what is reputed to be the finest Georgian street in Cornwall. We intend to construct 2 sympathetically designed contemporary detached houses for sale. Work has now started to refurbish these listed warehouses, into modern retail units, available to let now. We are happy to say that, we have today completed the sale of this lovely modern house. We will shortly be starting the renovation of these Grade II listed warehouses. We are creating three unique contemporary retail units. Double height selling areas with galleried mezzanine areas and storage to rear. Finished to a high quality retail shell and ready for immediate occupation. Available to rent Summer 2017. We have today acquired this derelict bungalow, set in nearly 3 acres of woodland. We will be seeking planning consent to replace the existing house with an exciting modern building to make the most of the sylvan setting. 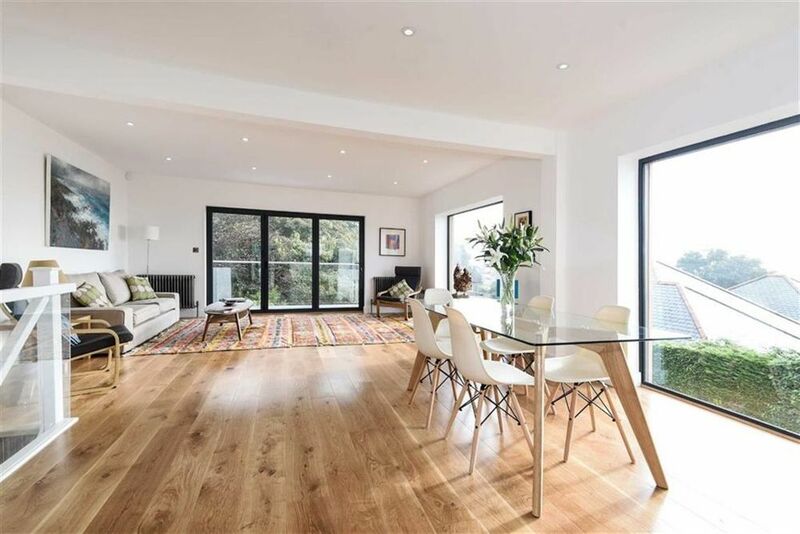 We are very proud of final result of the refuirbishment of 34a, it is a fantastically light and airy modern space, with spectacular views of the castle and with a superb mature garden of nearly half an acre. Take a closer look on the for sale page. We are pleased to have received Planning Consent to modernise this 1980's bungalow. We have aquired this detached bungalow for refurbishment. We have aquired these Grade II listed warehouses, we intend to convert them into 3 exclusive contemporary retail units to rent as a long term investment. The site for this pair of semi detached houses has been sold to a local builder. We have completed the purchase of this period house for refurbishment and plan to let it as a long term investment. We have today been granted planning consent to convert the existing garage and outbuildings to form an imaginative two bedroom cottage. We have today been granted planning consent to construct a pair of three bedroom village houses, on the site of a redundant warehouse in the heart of the village. We have had to say goodbye to Gwynngala and their fantastic gallery that has been making use of the newly refurbished shop, this successful collaboration provided the gallery space in exchange for 15% of the takings, which Rockpool has donated directly to the Launceston Memory Cafe. The newly refurbished 3 bedroom flat, in this beautiful building was let as soon as it came to the market. Providing a high quality home right in the heart of the historic town. We are very excited to have received planning approval for our landmark house in Boscastle, this development marks a new era of architecture in this traditional Cornish village. This unusual and exciting barn will be completely refurbished to provide a fantastic bright and modern 4 bedroom home. It will be available in early spring 2015. Planning Consent and Listed Building Consent has been granted for the change of use of the former post office, to provide an interesting 4 bedroom cottage. We have acquired a derelict warehouse with associated land, with a view to providing two modern 3 bedroom village houses, with parking and gardens. After working with our neighbours to refine the scheme, a Planning application has been submitted for an adventurous modern house on this unique site. Rockpool are pleased to announce that we have chosen the Launceston Memory Cafe as the Charity to receive all of the proceeds from the Gwynngala Pop up Shop, we will also provide other help where we can, more details to follow. We welcome any comments from local people please use the contact page to get in touch. Having said goodbye to the Friends of St Joseph's, we are glad to report that Gwynngala, a local artists group will be taking occupation of 26 Church Street. we understand that they will be displaying pictures and sculptures with many exciting works for sale. 15% of the proceeds will be given to local charities chosen by Rockpool. We hope again that you will support these local artist and sculptors, and our good causes. The Friends of St Joseph's pop up shop has been a great success, and the friends would like to thank everyone in the town for their support. We understand that the proceeds will go a long way towards providing a climbing wall for the children. We have completed the refurbishment of the shop in Launceston, sympathetically working with new high quality finishes that complement the old fabric of the building has produced a unit will benefit the centre of town. 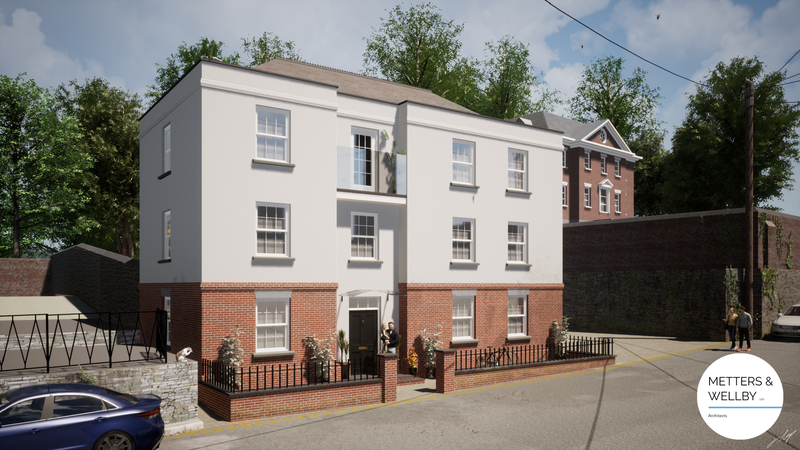 Planning consent has been granted for an architect designed contemporary 4 bedroomed house, the plot is being marketed through Mansbridge and Balment in Launceston. Rockpool are proud to be supporting The Friends of St Joseph's School Launceston with their 'pop up shop' at our newly refurbished premises at 26 Church Street. Open for one week at the end of July. We have now managed to acquire the grade II listed leasehold flat above the shop, securing the future of this medieval building. We are going to renovate this and bring it back into occupation as a long term investment. Amended Planning application made for an exciting contemporary 4 bedroomed house. We have acquired a grade II listed Georgian former post office in need of substantial renovation. A grade II listed freehold shop acquired for refurbishment and long term investment. Planning application made for an exciting contemporary 4 bedroomed house. Planning approval gained for the conversion of Rosehill barn to create a contemporary 3 bedroom house. Acquired a 5 bedroom detached house, with adjoining paddock. Planning application made for conversion of barn to a 3 bedroom dwelling. Planning approval gained for a further cottage and enlargement of the village shop. Acquired 4 bedroom cottage with barn and 7.5 acres. 3 contemporary retail units created in these listed former warehouses, just outside the Launceston town walls. Plot including around an acre of woodland. To be sold with planning permission for the replacement of the existing derelict bungalow. Two contemporary town houses, in what is reputed to be Cornwall's finest Georgian street. At Rockpool we believe that businesses can make a positive contribution to both the physical and social fabric of their immediate community. As such we try as much as possible to use local suppliers and businesses in our day to day activities. Rockpool also supports local charities by providing funding and help with events. This Rockpool decided to support two additional charities, with a donation of £575 to the Childrens Hospice South West , and £300 to Polycystic Kidney Disease. Rockpool is pleased to say that for the fourth year we have made donation of £500.00 to the Launceston Memory Cafe. Rockpool is pleased to say we have made a further donation of £1,495.85 to the Launceston Memory Cafe. The final balance of the moneys paid by Gwynngala for the use of the gallery at 26 Church Street has been donated to Launceston Memory Cafe. We are proud to say we have made another donation of £610 to the Launceston Memory Cafe. 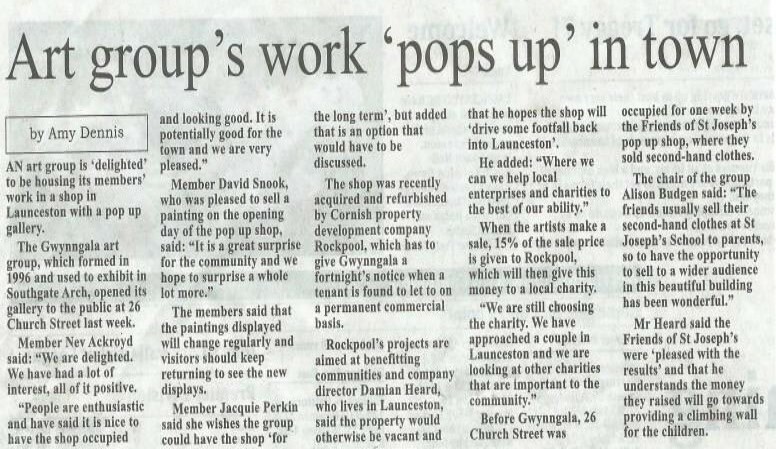 Rockpool have agreed that Gwynngala, a successful group of local artists can create a pop up gallery in the newly refurbished shop at 26 Church Street, Launceston. The gallery will remain until a permanent tenant for the shop can be found can be found, Gwynngala will donate 15% of their takings from the gallery to Rockpool. 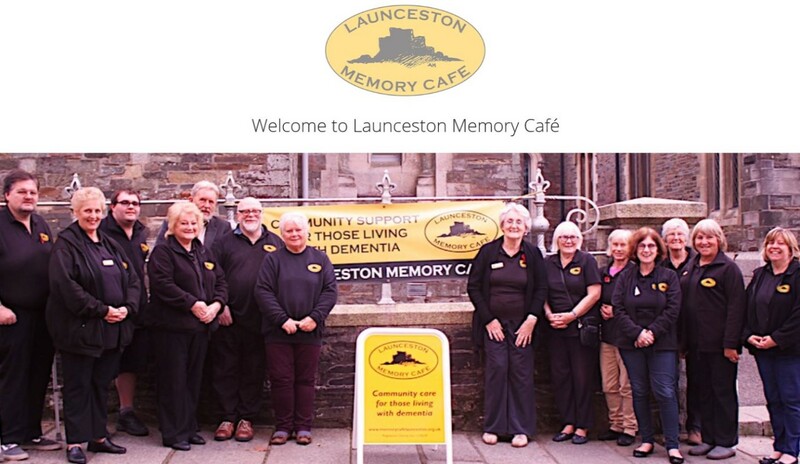 Rockpool has decided that this money will all be directly donated to the Launceston Memory Cafe, who do a fantastic job, helping to support people with dementia, and their carers within our local community. Rockpool are proud to be supporting The Friends of St Joseph's School Launceston with their 'pop up shop' at our newly refurbished premises at 26 Church Street. We understand the shop will only be open for one week at the end of July and will be offering an assortment of outstanding bargains donated by the parents and friends of the school. Not to be missed!. We are presently looking for other local charities to support. Initially our ability to offer financial support will be limited, however we hope our professional expertise in property maintenance, planning, development and marketing may be of benefit to local charities or parish councils. Please contact us via this web site if you feel we could be of help to you. We hope that we can provide similar opportunities in the future, so if you have a worthy cause we would love to hear from you so that we can consider how we can help. At Rockpool design comes first. We are a design led company. We believe that the marriage between thoughtful and sometimes quirky design with sensitive materials can create wonderful buildings to live in. We don’t believe in a formulaic one-size-fits-all approach and we pride ourselves on offering unique properties that offer something a bit different to the norm. Our goal is that every completed project should build on our reputation in the long term and this ethos drives the attention to detail and quality of finish in the homes we create. In the course of our work, we also aim to celebrate our local area both economically, by using local suppliers and businesses, and socially, by providing homes that we are proud of and by contributing to local charities. After all we don’t just invest and work in this area, we live here too. Working with our sister companies we are able to offer a wide range of property managment, development and investment opportunities. Helping to provide long term and sustainable property solutions in North Cornwall and Devon. Rockpool has immediate cash funds available to purchase your property. If you own, or know of a property that you think may be of interest to Rockpool, please go to the contact section and get in touch so that we can discus the opportunity with you. Rockpool buys all types of property and can make you an immediate cash offer that can be completed within just a few days. Many Rockpool projects are conceived when we are approached by an agent, solicitor, surveyor or architect who knows of a property that might be of interest to us. Rockpool's strength is unlocking the value of a property through our understanding of planning, design and construction. Whether it’s a single small flat, a large building or piece of land with or without planning permission, we are interested in hearing about it. We can assess properties quickly and provide a definitive response as to whether it would make a potential Rockpool project. We are flexible in our approach, and can adapt an offer to suit the requirements of different land owners. Whether that means an outright unconditional cash purchase, an offer conditional upon planning permission being granted, or even entering into a joint venture agreement as a development partner. Rockpool is an innovative company growing quickly. We are not currently advertising for any vacancies, but if you think you have something to offer us, and would fit in with the Rockpool ethos, please contact us with your CV.